With over 25 years of experience, Uruguayan Chef Gustavo Maurelli delights us with unique tasting flavors. A great adventure experimenting with modern techniques and local products influenced by Asian and Italian cuisine. 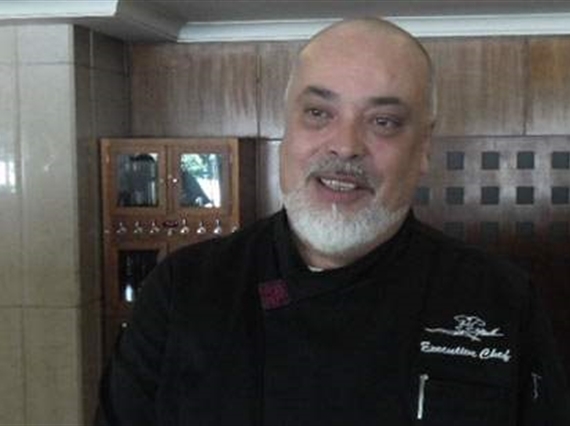 Gustavo leads one of Chile's most influencing restaurants at Sheraton Santiago Hotel & Convention Center. "I have worked at many different places such as Canada, USA, Italy, The Caribbean, Dubai, Singapore, and more, so I combine the best attributes of each of them to deliver the most delicate flavors prepared with fresh ingredients". In our country, he wishes to mix it up with the best elements of Latin American cuisine and techniques learned around the world. "My goal is to keep on discovering everything Chile has to offer to spread the word internationally". Among his best preparations you may be find classic snacks with a special touch such as spicy king crab empanadas, shiitake mushrooms, ceviches, thai crab cakes and the finest selection of meat cuts and pasta.